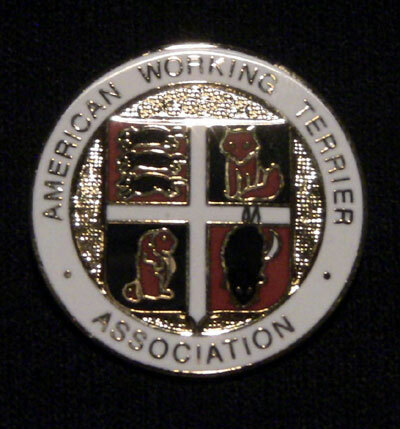 The name of the club shall be American Working Terrier Association, Inc.
1) To encourage and promote through literature and den trials the breeding, hunting and ownership of terriers and Dachshunds of the size, conformation and character to perform as working and/or hunting terriers and Dachshunds. 2) To award qualified working terriers and Dachshunds with the titles put forth in the AWTA Rules and Regulations. 3) To sanction den trials to be held in accordance with the AWTA Rules and Regulations. The Down to Earth magazine shall be the official publication of the club. 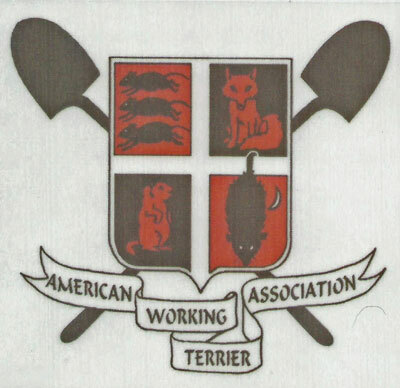 All trials must conform to the rules of the American Working Terrier Association, Inc. The book of Rules and Regulations is available from the Trial Secretary. The club shall not be operated or conducted for profit and no part of any profits or remainder or residue from dues or donations to the club shall inure to the benefit of any member or individual. The members of the club shall adopt and may from time to time revise these bylaws as may be required to carry out these objects. 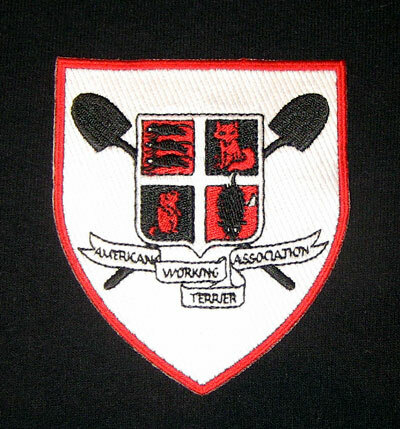 There shall be one type of membership, open to all persons who subscribe to the objects of the club. Shall be payable annually on January 1st. The Treasurer shall notify each member thirty days before his dues are due for the ensuing year. Membership dues shall be determined by a vote of the Trustees. Each applicant for membership shall apply on a form approved by the Trustees and which shall provide that the applicant agrees to abide by these Constitution and Bylaws. The application shall state the name of the applicant and any other information required on the form. Accompanying the application, the prospective member shall submit dues payment for the current year. Initial dues payments received after September 30th will be considered to include the upcoming year. Any application containing false or misleading information that is provided by the prospective member will be cause for refusal or withdrawal of membership as not in the best interests of the club. a) By resignation. Any member in good standing my resign from the club upon written notice to the Recording Secretary; but no member may resign when in debt to the club. Dues obligations are considered in debt to the club. b) By lapsing. A membership shall be considered as lapsed and automatically terminated if such member’s dues remain unpaid as of ninety days after the 1st of January. In no case may a person be entitled to vote at any club meeting or on any club business whose dues are unpaid as of the meeting or termination date on the written ballot. There shall be five (5) Trustees in accordance with the legal requirements of the incorporation in New Jersey. Each Trustee shall be elected for a four (4) year term. Trustees shall be elected on a rotating basis, with two (2) Trustees being elected in the year 2000 election, three (3) Trustees elected in the year 2002, and so on. In order to hold office as a Trustee the member must have earned at least one AWTA Working Certificate or AWTA Hunting Certificate. The Trustees shall have responsibility of the general management of the club and such duties as outlined in these Constitution and Bylaws. The Officers shall be comprised of: The President, Vice President, Recording Secretary, Newsletter Editor, Trial Secretary, Hunting & Working Certificate Secretary and Treasurer. The President shall preside at all meeting of the Board of Officers, shall act as a liaison among the officers and Trustees, shall coordinate the ongoing business of the club, shall monitor the performance of all officers and Trustees in their duties, and shall have the duties and powers normally accorded to the office of President in addition to those particularly specified in these laws. The Vice President shall have the powers of the President in case of the President’s death, absence or incapacity. The Vice President shall also perform such other duties as may be assigned by the President or Trustees. The Recording Secretary shall keep a record of all meetings of the club and Board, of all votes taken by mail, of all titles awarded by the club and of all matters of which a record is ordered by the club. The Recording Secretary shall also have charge of the correspondence, notify members of meetings, notify new members of their membership acceptance, notify Trustees and Officers of their election to office, keep a roll of the members of the club with their addresses, and carry out other such duties as may be assigned. The Newsletter Editor is appointed by majority vote of the Trustees. The Editor shall be responsible for the quarterly editing, publishing and mailing of the AWTA newsletter, Down to Earth. An account is to be set up for the Editor in an amount set by the Trustees to be used for the above purpose. The newsletter Editor shall provide a quarterly financial report to the Treasurer. The Editor is answerable to the Trustees and may be removed from this position by request of the majority of the general membership. The Trial Secretary shall take charge of all requests for sanctioning trials. Trial application fees, as set by the Trustees are to be sent to the Trial Secretary who will then dispense to the chairman of the trial an information packet. The trial Secretary shall be responsible for maintaining and reproducing the information packet, and dispensing AWTA ribbons and flasks to the trial chairman. Upon receiving completed reports of each trial, the Trial Secretary is responsible for creating and mailing Certificates of Gameness to the qualifying dogs. Application fees sent to the Trial Secretary and fees collected from trial entries are to be forwarded to the Treasurer. A list of those dogs who have earned a Certificate of Gameness is to be forwarded to the Newsletter Editor and to the Recording Secretary each quarter. The Hunting & Working Certificate Secretary shall be responsible for the initial review of all Hunting & Working Certificate applications and collecting application fees. The secretary shall distribute copies those applications which meet the basic certification criteria to the Trustees who are the HC/WC Review Committee. The Secretary shall also notify the applicant of the approval or disapproval of their application, create and mail the award certificate, provide a quarterly list of certificate winners to the DTE Editor and Recording Secretary. All application fees shall be forwarded to the Treasurer. The Treasurer shall collect and receive all monies due or belonging to the club and be responsible for ordering supplies of ribbons, cups and certificates and providing them to the Trial Secretary. The Treasurer shall deposit the same in a bank approved by the Trustees, in the name of the club. Expenses incurred by the AWTA officers and Trustees in the performance of their club duties will be reimbursed by the Treasurer upon being presented with receipts for such expenses. The books shall at all times be open to inspection of the Trustees and the Treasurer shall report to the quarterly the condition of the club’s finances. At the end of the fiscal year the Treasurer shall render a complete account of monies received and expended during that year with a complete accounting published in the Down to Earth. The Treasurer shall be bonded in such amount as the Trustees shall determine. The Trustees shall serve as an Auditing Committee for the club’s books, reviewing the yearly financial report in detail. An audit to be conducted by an accountant may be ordered at any time by majority vote of the Trustees. The accountant who will carry out such an audit will be chosen by majority vote of the Trustees. Any vacancies occurring among the Officers during the term of office shall be filled until the next election by a majority vote of the Trustees; except that a vacancy in the office of President shall be filled automatically by the Vice President and the resulting vacancy in the office of Vice President shall be filled by a vote of the Trustees. The club’s fiscal year shall begin on the first day of January and end on the 31st of December. Immediately at the conclusion of an election each retiring officer shall turn over to his successor in office all the properties and records relating to that office within thirty days after the election. At the regular meeting or special meetings of the club, voting shall be limited to those members in good standing who are present at the meeting. Voting by proxy shall not be permitted. Amendments to the Constitution and Bylaws shall be decided by a written ballot cast by mail. The Trustees may decide to submit other specific questions to the members for decision by written ballot by mail. The election of Officers and Trustees will be held every other year. The selection of candidates for Trustees and Officers will be conducted by an election committee of three (3) members in good standing approved by majority vote of the Trustees and Officers. The election committee will begin the process of nominating candidates for office in May of any year in which an election will be held. Anyone who wishes may run for office by submitting to the Recording Secretary the signatures of three members in good standing petitioning the election committee to add their candidate’s name to the ballot. Such petition will be immediately forwarded to the election committee. A Trustee may, if he or she wishes to assume the responsibility, hold another AWTA office, with the exception of Treasurer. No one person may hold more than one Trusteeship. The full ballot of candidates and their biographical information will be published in Down to Earth. The voting shall be by written ballot. The person receiving the largest number of votes for each position shall be declared elected. Voting it to be completed by November 15th; ballots counted and newly elected officers and Trustees notified by November 30th. The membership shall cast votes for Trustees and Officers as stated above. The Trustees shall then elect the Officers chosen by the membership as required by the incorporation law of New Jersey. Meetings are to be held at AWTA Den trials across the country each fiscal year whenever such meetings are practical. Meetings are to be chaired by the AWTA judges at that trial or a chairman chosen by the Trustees. A report of each meeting is to be submitted by the presiding AWTA judge or chairperson and will be published in the next issue of Down to Earth. The Trustees may each year appoint standing committees to advance the work of the club in such matters as den trials, approval of judges, trophies, membership and other fields which may well be served by committees. Such committees or chairmen appointments may be made to aid them on particular subjects. Any committee or chairman appointment may be terminated by a majority vote of the Trustees upon written notice to the appointee, and the Trustees may appoint successors to those persons whose service has been terminated. The Trustees shall constitute a Trial Board to hear and determine all controversies involving charges against any member of conduct prejudicial to the interests of the club. All hearings before the Trial Board shall be initiated by a written complaint addressed to the Recording Secretary, signed by the members making it and setting forth briefly, the specific acts alleged to have been committed by the offending member. The Trial Board shall thereupon determine the exact nature of the issues involved, summon by mail or otherwise, the adverse parties to appear before them at a time and place to be fixed by the Trial Board with reference to the convenience of all parties concerned and proceed to hear all relevant material on competent evidence which any party my choose to adduce. Upon that evidence the Trial Board shall render their decision in writing. This written decision shall be sent to each party by the Recording Secretary. The decision of the Trial Board shall be final and binding upon all parties to the controversy and upon the club unless any parties shall appeal the decision as hereinafter provided. d) A vote by the members sustaining or rejecting the appeal. A majority of the votes cast by the members present and voting shall determine the issue and this vote shall be final and binding upon all parties to the controversy and upon the club. Records required by custom, parliamentary practice or these Bylaws to be kept by any Officer, committee or Trustee shall be open for inspection by members upon authorization by the Trustees and agreement as to reasonable time and place. All proceedings of the club shall be in conformity with the rules contained in Roberts Rules of Order. Amendments to the Bylaws may be proposed by the Trustees or by written petition addressed to the Recording Secretary signed by twenty-five (25) members in good standing. Amendments proposed by such petition shall be promptly considered by the Trustees and must be submitted to the members with recommendations of the Trustees for a vote within four (4) months of the date when the petition was received by the Recording Secretary. The Bylaws may be amended at any time provided that a copy of the proposed amendment has been mailed to each member in good standing on the date of the mailing, accompanied by a ballot on which me may indicate his choice for or against the action to be taken. The notice shall specify the date, not less than thirty (30) days after the mailing by which ballots must be returned to be counted. A favorable vote of two-thirds (2/3) of the members in good standing who return valid ballots within the time frame shall be required to effect any such amendment. The club may be dissolved at any time by the written consent of not less than two-thirds (2/3) of the members. In the event of the dissolution of the club whether voluntary or involuntary or by operation of the law, none of the property of the club nor any proceeds thereof nor any assets of the club shall be distributed to any members of the club but after payment of the debts of the club, its property and assets shall be given to a non-profit organization for the benefit of dogs selected by the Trustees.